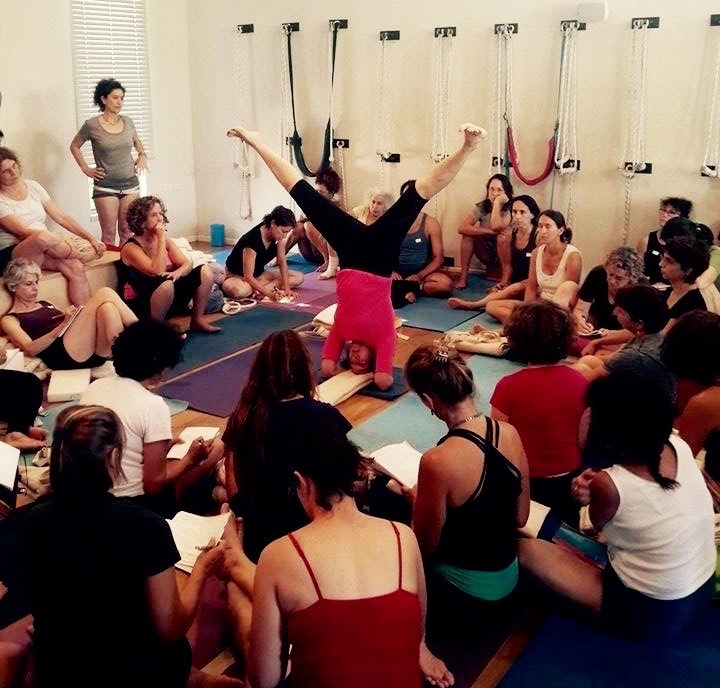 Workshop for the Iyengar Yoga Association, Tel Aviv, Israel. Blankets should not be disturbed – EVER! – from their length-wise fold. Maintaining that initial imprint makes life so much easier. Now all of the other standard blanket folds are easy to do. Look for the mid-line in every pose. Here in Adho Mukha Svanasana (Downward Facing Dog Pose) align the wrists, elbows, shoulders, torso and side hips to the median plane. Urdhva Hastasana with block and belt – another pose where it helps if you know where your midline is. Take your weight to your heels. Move your quadracept muscles back onto your femur bones, and your femurs back to your hamstrigs. Narrow the front thighs, spread the back thighs. 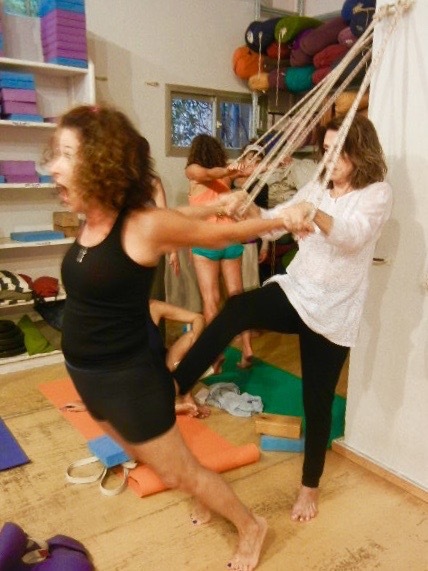 My host Zippy Weiner, assisting me at the Lotus Center Yoga Studio (where she has big classes), helps this student get her tailbone in. Practice diagonal Uttitha Trickonasana to access a good spinal rotation. Additionally for those with hip problems, working this way minimise the weight (and discomfort) on the front leg hip socket. 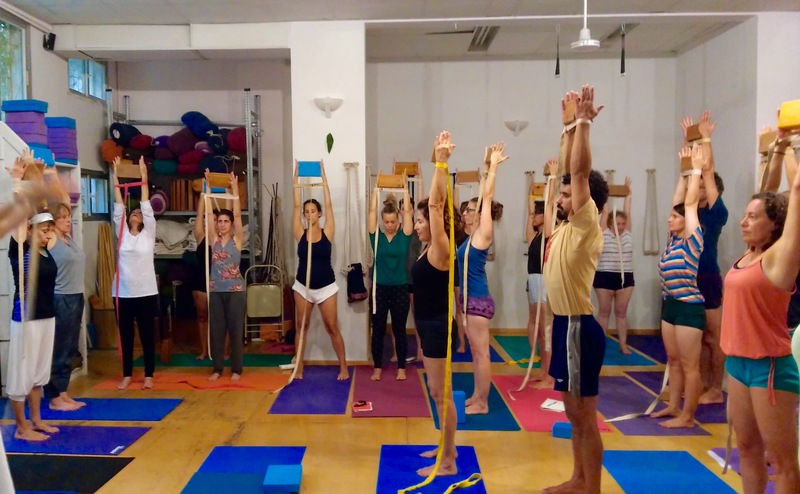 Upavista Konasana in Sirsasana. During the post menstrual phase, practice this with the toes turned forward. You will now find it possible to draw the sacrum up (toward the ceiling) to the level of the pubic bone. 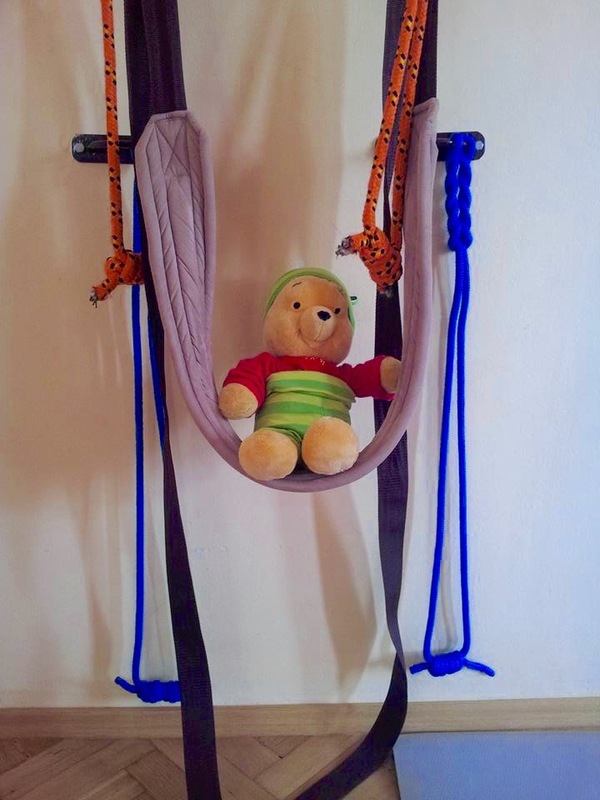 This allows the uterus to recede, and heal, and release away from the pelvic floor. In this pose, it’s easy to concave in the lumbar. This variation helps you remedy that, and elongate up through the lumbar. Baddha Konasana in Sirsasana. Move the inner thighs and inner knees away from each other. Pull the outer thighs back toward the hip sockets.This variation is another opportunity to lift the heavy (especially for women) sacral area. 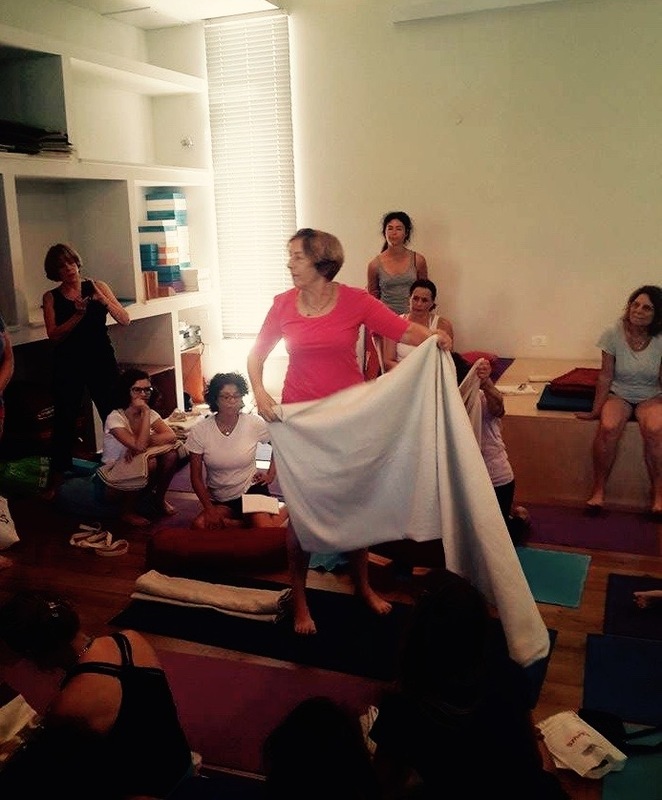 The students in Tel-Aviv are experts at finding ways of working when space is at a premium in the yoga studio. Finding no wall to brace their toes against, these two, who were holding their ankles in Supta Baddha Konasana (Reclining Bound Angle Pose), used each other, and a block for leverage. 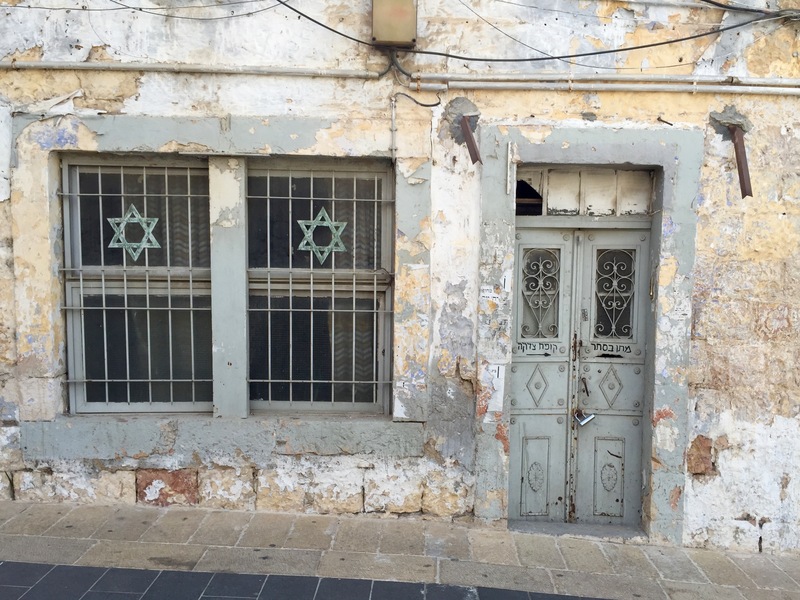 Out and about in Jerusalem. 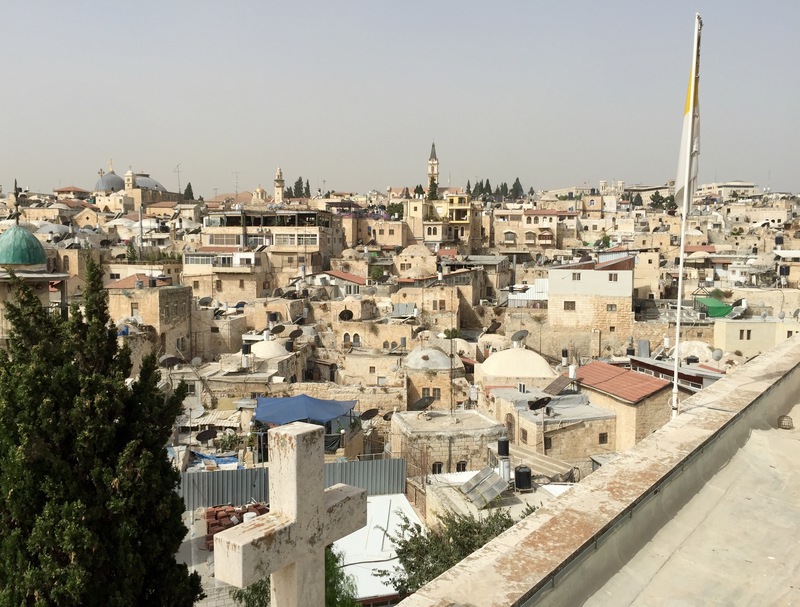 The classic shot of Jeruselem. I can’t believe I actually got to take this picture! 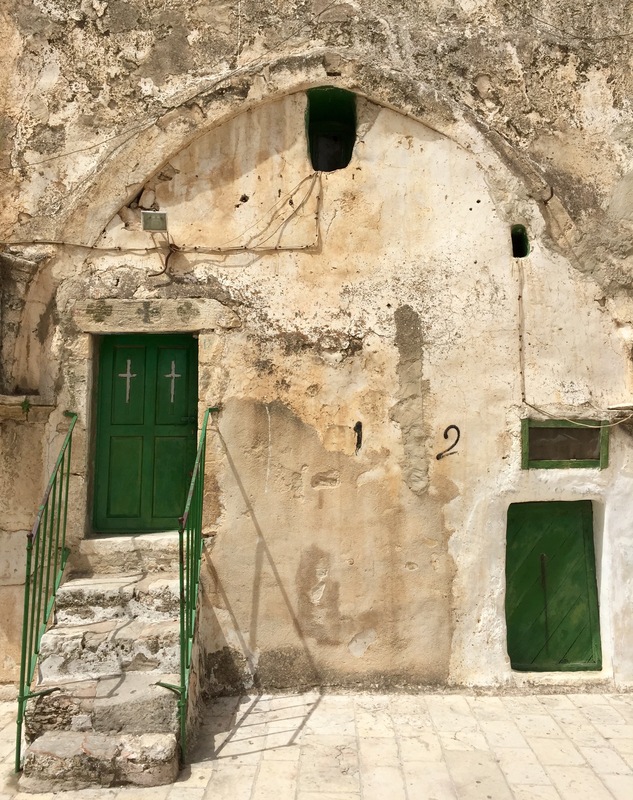 An ancient Christian holy site, also within the walled city. 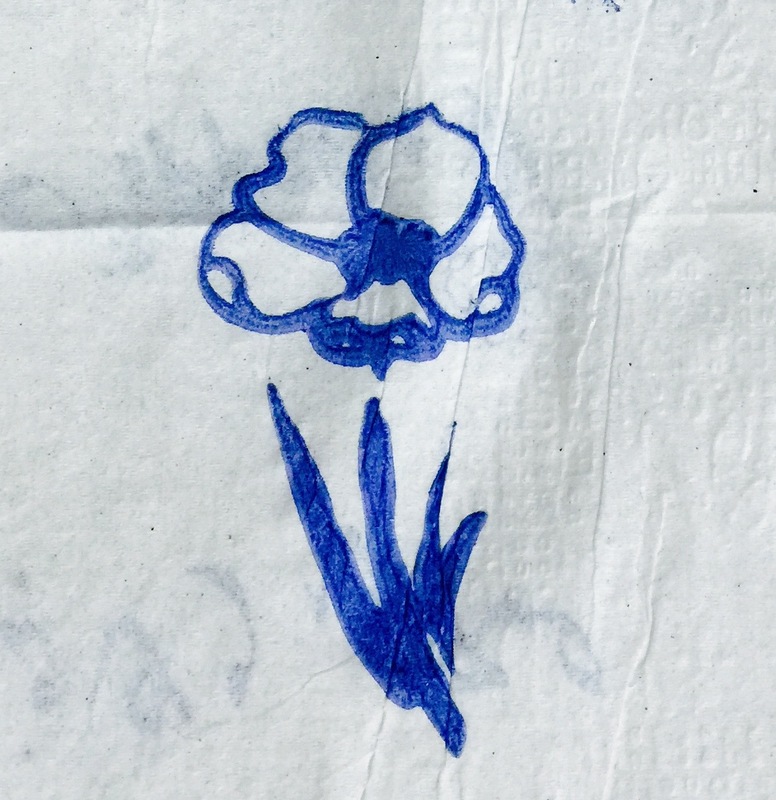 I love this design on a paper napkin. The best homus comes from inside these walls. 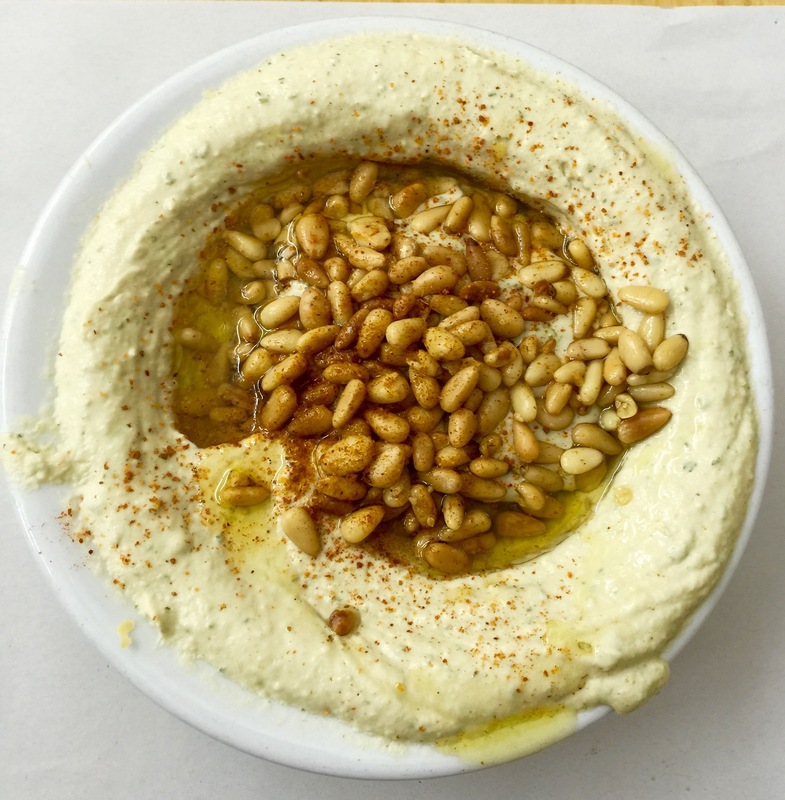 It’s dripping with local olive oil and sprinkled with (also local) pine nuts and paprika. A lovely old dwelling place — I wanted to see what was inside. 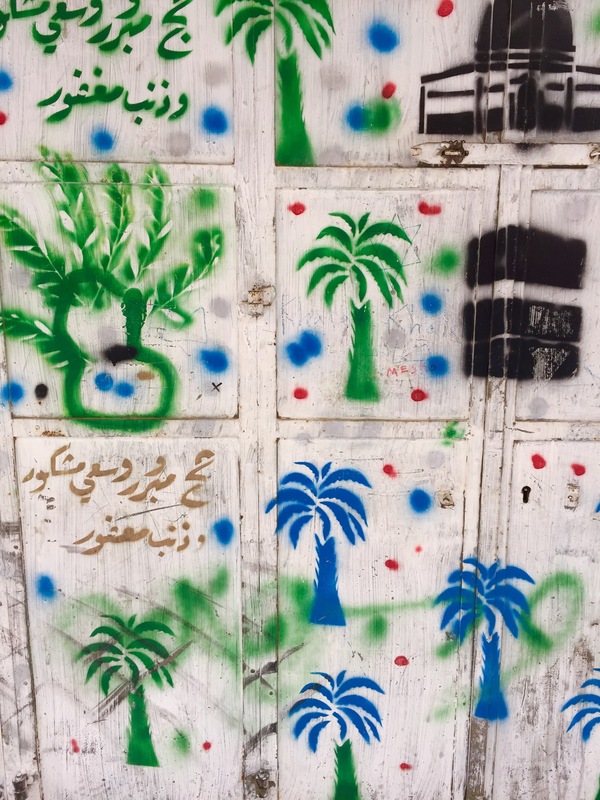 A stenciled wall. I was told this was Arab and had to do with the Haje. 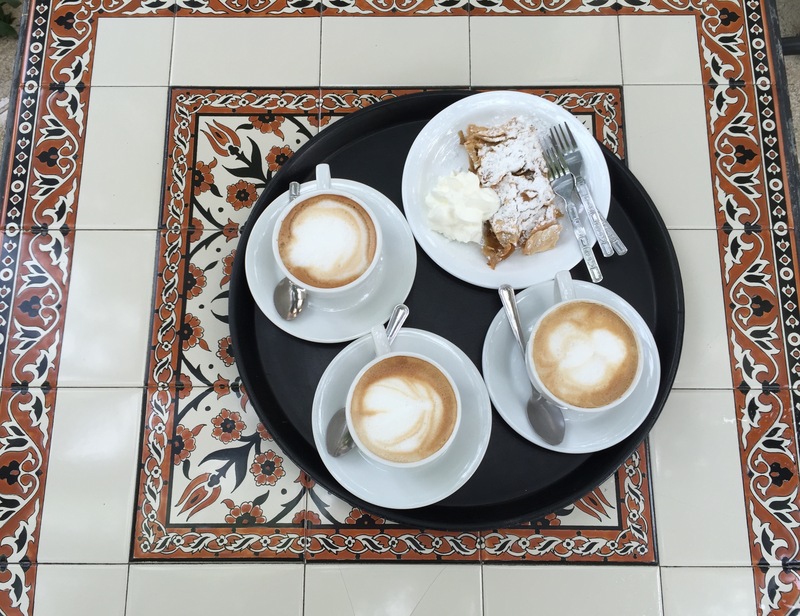 Apple strudle and cappachino at a cafe on the rooftop of the Austrian Church. 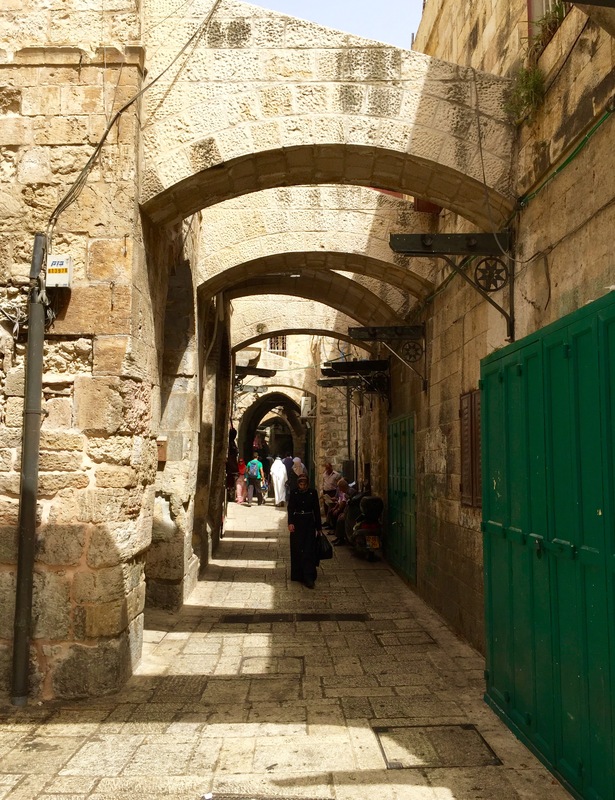 Within the walled city, each Christian church represents a place were Jesus paused as he walked with the cross. It’s important to work on your sequences to get them perfect. These kids show you how to get started. 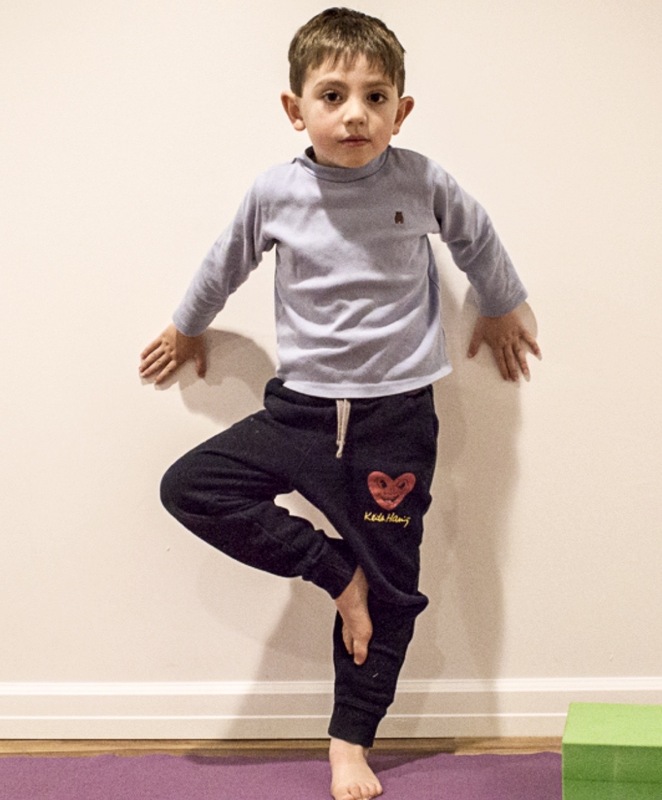 Here is Martin, son of Ana Uribe Vega, from Natural Yoga (yoga para todos en Bogata), Columbia. 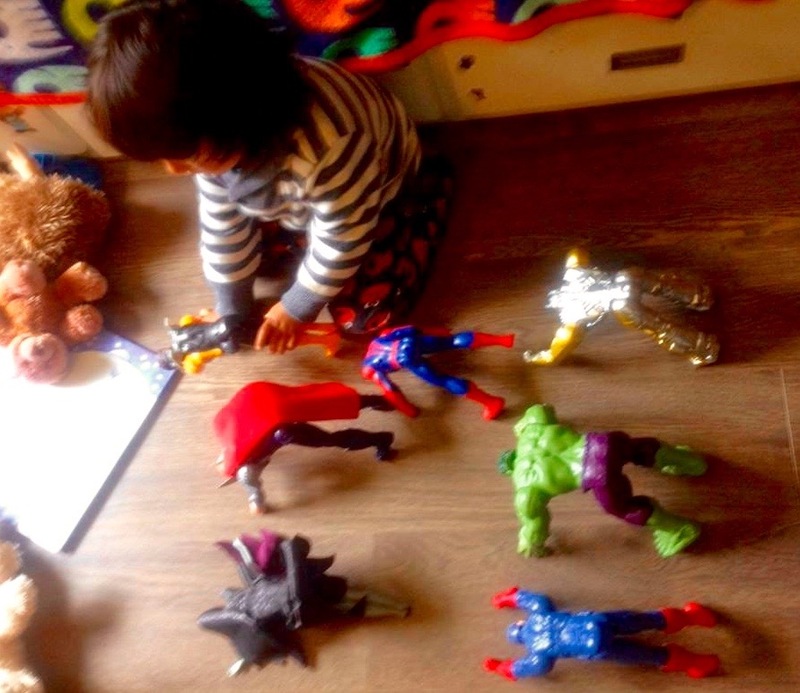 Before you begin your practice, tidy the room and find a suitable spot. 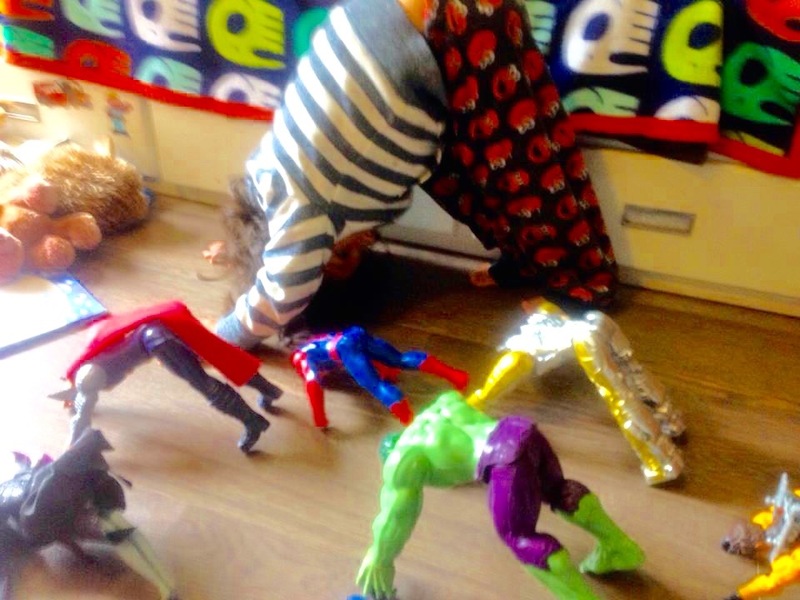 …and then demontstrate the pose to your students, Adho Mukha Svanasana (Downward Facing Dog Pose). Sometimes a restorative version is appropriate. Adho Mukha Svanasana with the head on a block. 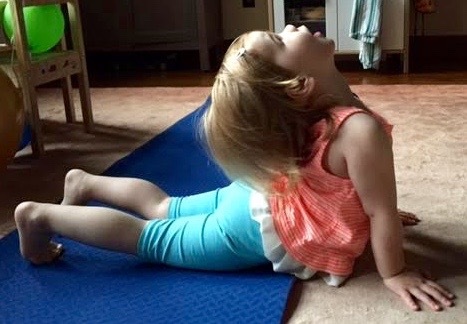 Adho Mukha Svanasana on points… My long -time student and friend, Carlotta Barrow sent this photo of Ellen Louise Burke, “a very lively little girl”, three and a bit, who lives in Walton-on-Thames, UK. 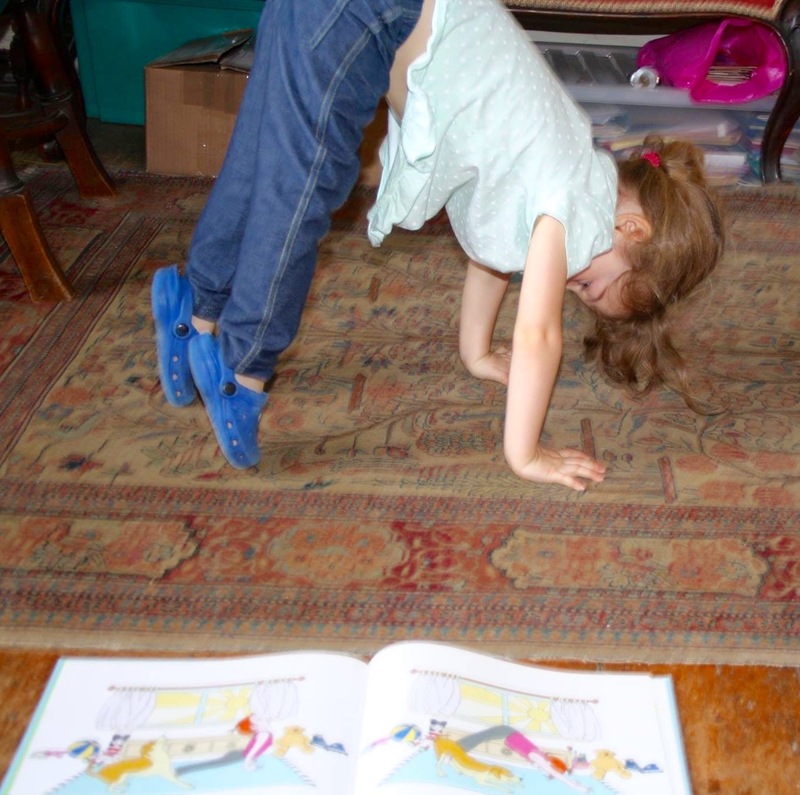 Thank you so much Carlotta for giving away so many copies of Watch Me Do Yoga to your young friends and family. ….or find another way to get that lift. Ulrika Falk Mörtberg’s 2-year-old daughter practices Adho Mukha Svanasana on the ropes. Ulrika has been teaching Iyengar yoga in Luleå, Sweden since 2008. Kristina Berglund is her teacher. 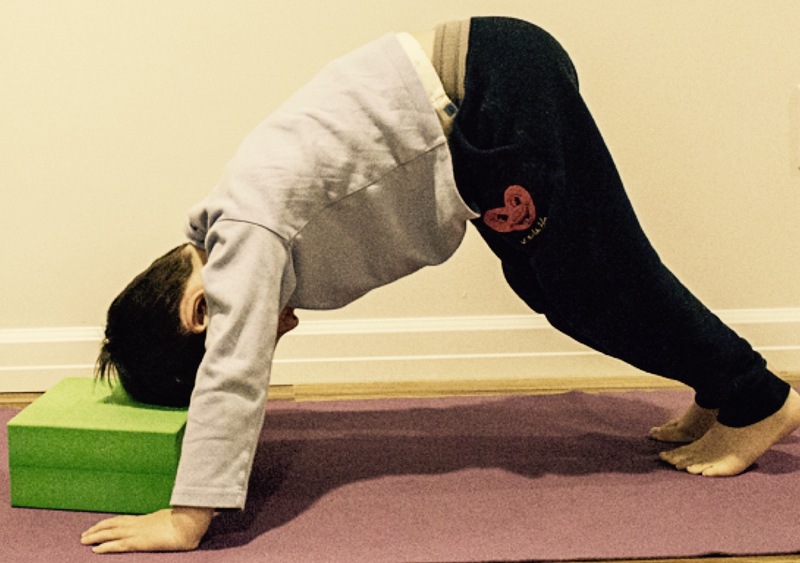 …to Urdha Mukha Svanasana (Upward Facing Dog Pose). Ann Van Regan’s granddaughter Darrah Boudreau knows a wall can be a good friend. 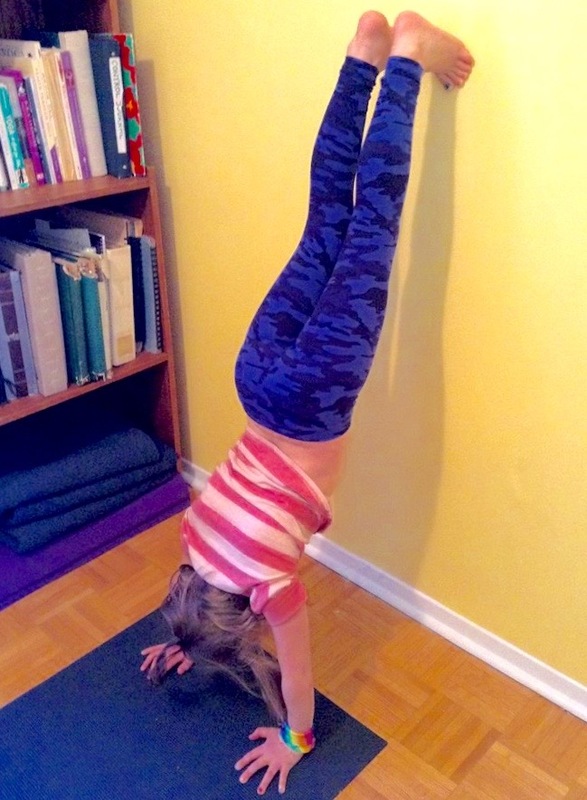 Preparation for Adho Mukha Vrksasana (Full Arm Balance). Ann studies Iyengar Yoga in Ottawa, Canada. 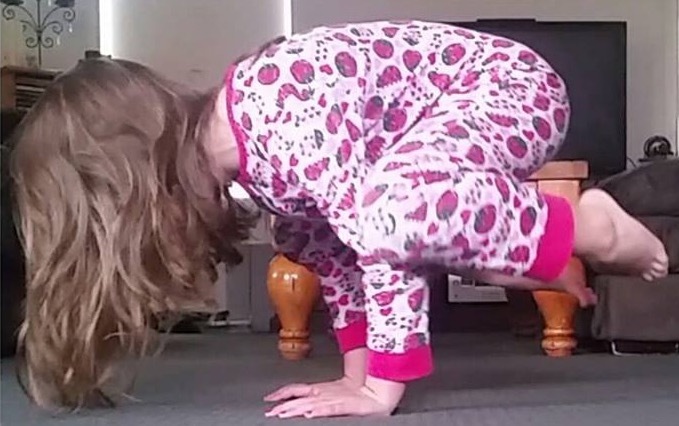 Gomukhasana (Cow Face Pose). 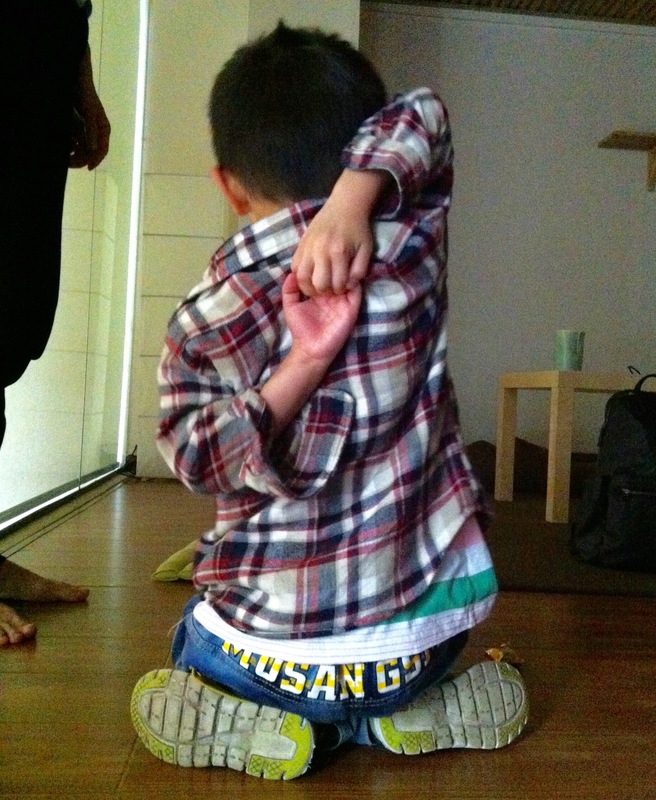 This young student has a good grip on the pose — with all fingers and thumbs. Vrksasana (Tree Pose). If you need to, use the wall for support. 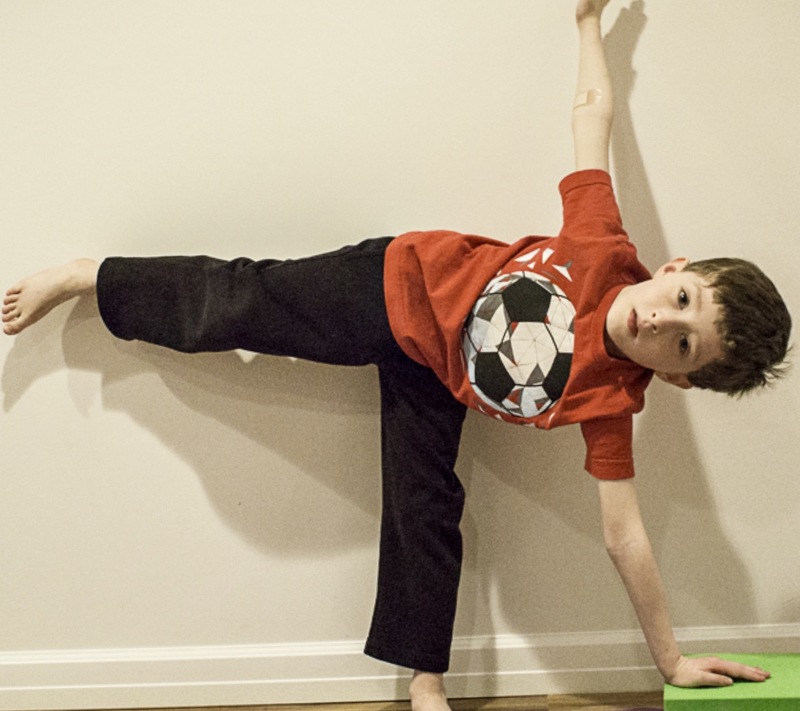 Ardha Chandrasana (Half Moon Pose). 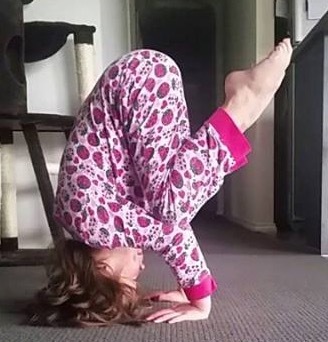 Preparation for Bakasana (Crane Pose). 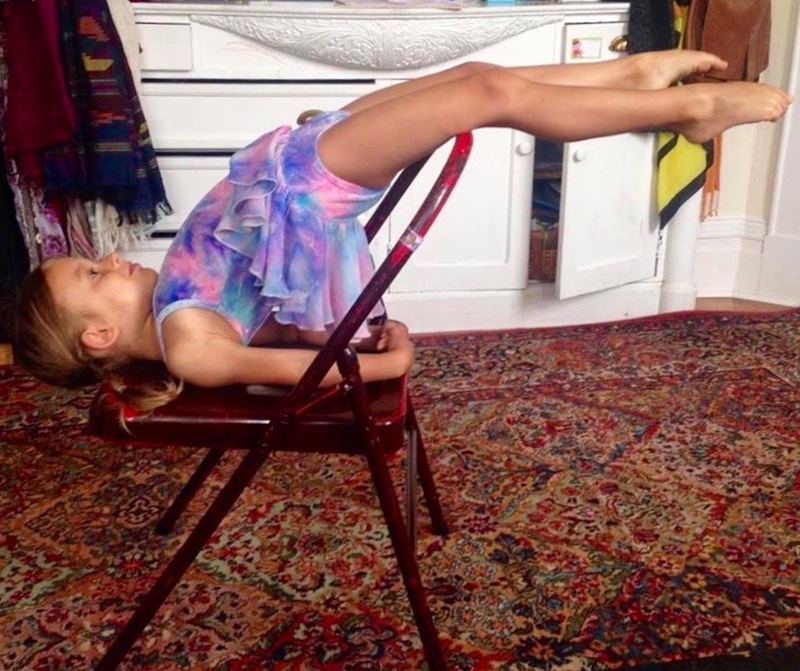 Gabby Yates’s daughter Camilla, who is almost five, set herself up in her own variation of Setu Bandha Sarvangasana on a chair. 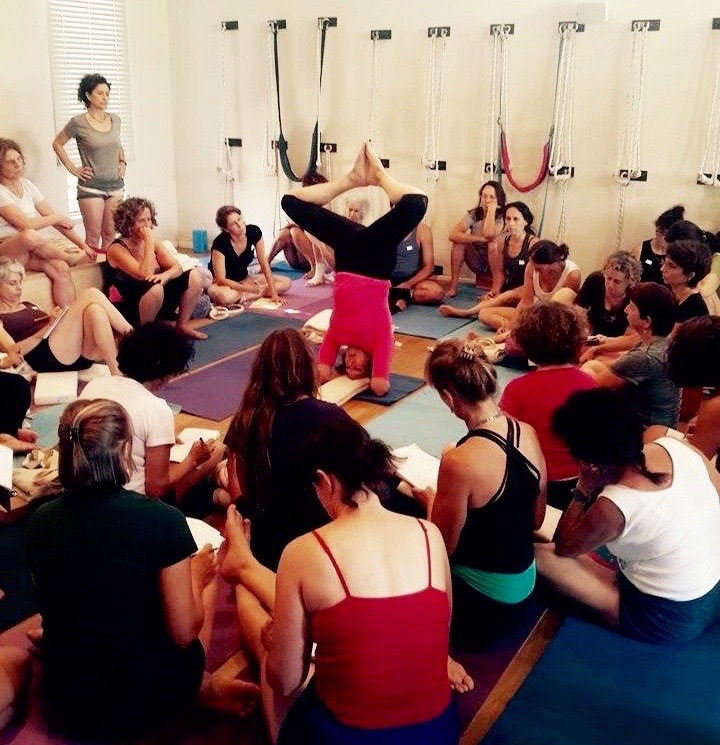 Gabby has been teaching for 16 years and Joan White (from Philadelphia) was her first Iyengar teacher. She teaches at the Yoga Tree Potrero Hill, a studio dedicated to wall ropes. Gabby says “The Women’s Yoga Book is a cherished resource in my house”, and that she was recently introduced to Yoga for Breast Care by Marisa Torrigino, one of her prenatal yoga mentors. 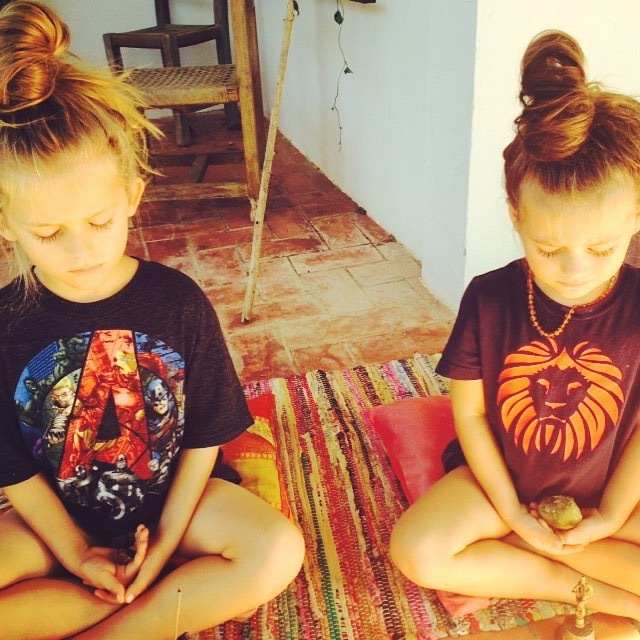 Suzanne Faith Slocum-Gori‘s seven year old son Tenzin and four-and-a-half year old daughter Indira seen here meditating. Suzanne says they particularly love the chanting and mantra part of the practice. Suzanne is Co-Founder & Co-Owner of One Yoga in Vancouver. The family live in Ibiza.